Purchasing this item will earn you 12 reward points (Love Point(s) $12.00) ! 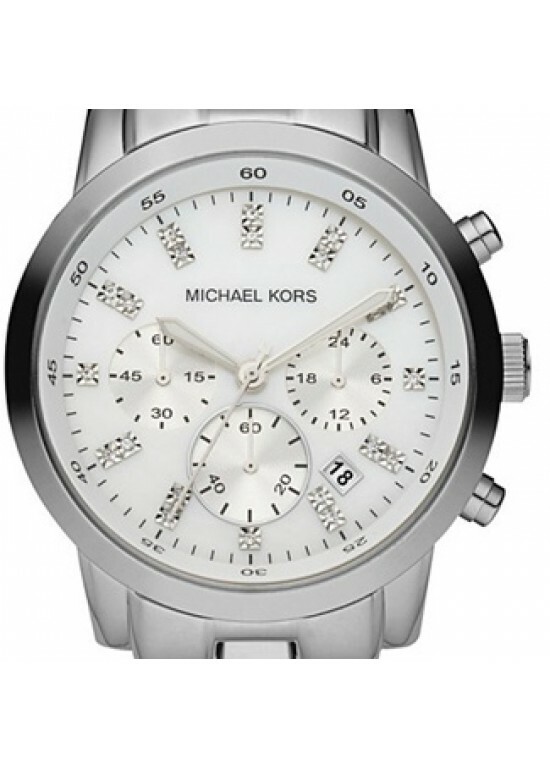 Luminous touches add the right amount of femininity to this boyfriend-inspired watch by MICHAEL Michael Kors. Stainless steel bracelet and round case. Mother-of-pearl chronograph dial features crystal accents at markers minute track date window three subdials luminous hands and logo. Chronograph movement. Water resistant to 100 meters.